Some outsize flies to cast at any preditor. 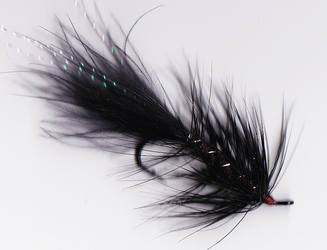 Tied on Salmon hooks, not too heavy to cast but strong enough to land most fish! 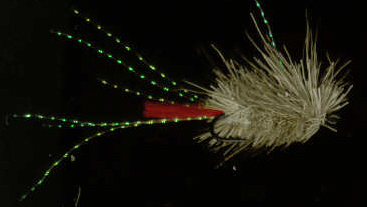 Super buoyant surface lure tied with lots of hair and flash to bring out the aggression of predators, use for nightime sea trout or daytime pike. 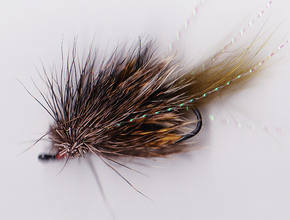 A pattern to tempt a bottom feeding Brown Trout or maybe a Perch. Fishes well at low speeds. 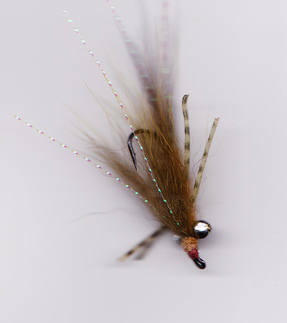 One of the best big fish flies to use anywhere, fish with confidence. All purpose crayfish, big nymph thing that will tempt fish feeding in the mud.